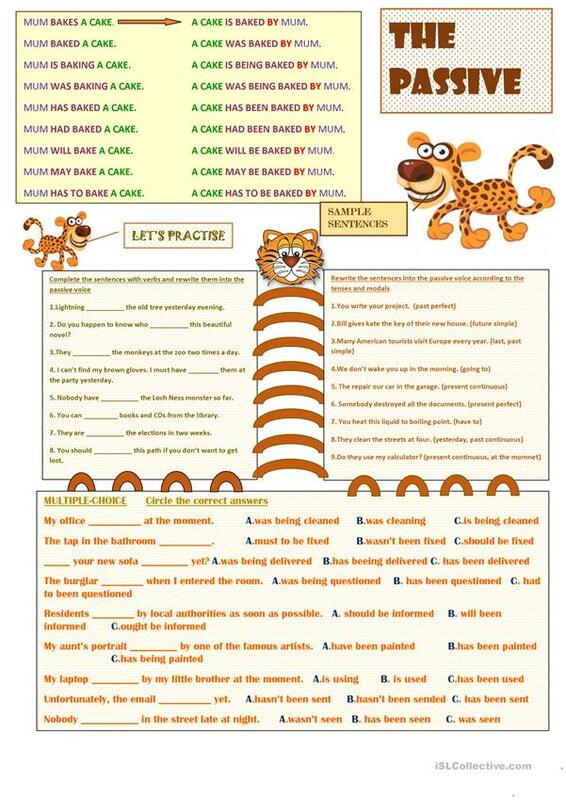 Students can practise the passive voice in different tenses with different types of exercises. They have to complete the sentences, rewrite them and choose the correct answers. This downloadable handout was created for high school students, elementary school students and adults at Pre-intermediate (A2) and Intermediate (B1) level. It is aimed at practising Passive voice or active voice in English, and can be used for working on your groups' Spelling and Writing skills.